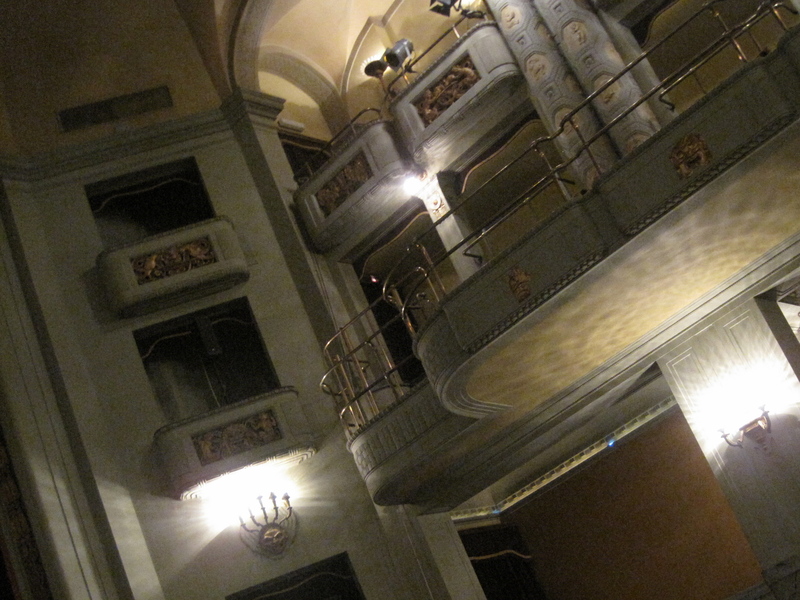 While having a caffè, coffee before the show, we asked Massimo, the Odeon chief whether the concert was sold out. He said, “No! Ci sono molto sedie vuote, there are many empty seats.” Hmmm. He was right. Although we arrived about 15 minutes early to take our seats for the 9 pm show, the theater seemed almost empty. Of course, that’s not unusual in Italy. In fact, they function on what is called l’ora accademia, the academic hour, which means nothing starts before it’s officially 15 minutes late. By 9:30 the band was nowhere to be seen. Stragglers filtered in, but at best, the place was only about 1/2 full, totaling no more than a couple hundred people. We were surprised. Kind of. We asked about 3 or 4 weeks earlier if we could buy tickets and were told that they weren’t available yet. The idea of “presales” flies in the face of the piano, piano, slowly, slowly Italian tradition. Tim Robbins has long been one of our favorite actors. He is usually understated and actually seems to avoid the spotlight, yet he’s landed some great acting parts over the years and delivered some truly impressive performances. 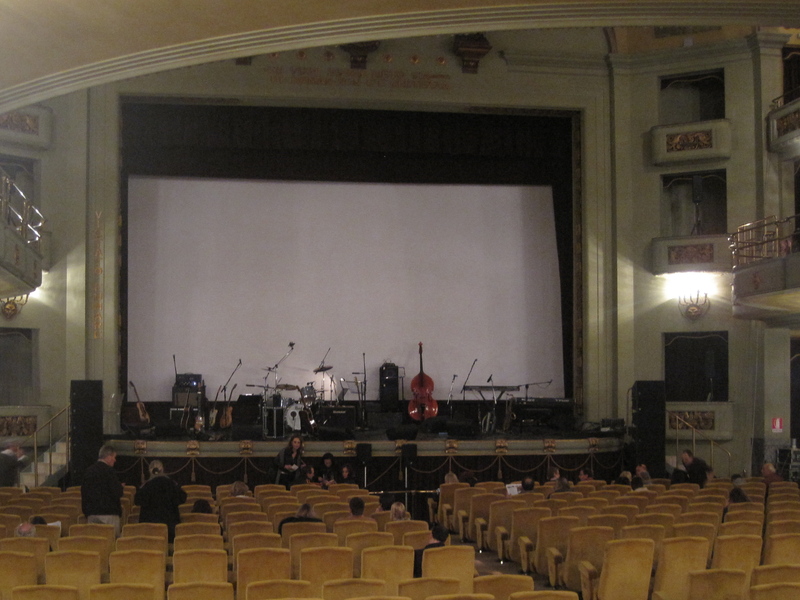 So, when we heard that he was going to be in Florence for one show at our favorite theater, we were excited, even though we knew nothing specific about his music or his band. We were willing to take a chance. We concluded that music is his passion and he loves to strum the guitar and wail with his musician friends. He seemed to be genuinely happy to play his music, deliver his message and express himself. With this as his objective, then he did a fantastic job of it. He really seemed to be enjoying himself. After about 3 songs, a woman in the audience blurted out, “Say ‘Hello.’ We speak English!” Her comment seemed to jar him, and he immediately warmly addressed the audience. He commented about how fortunate he was to be able to bring live music back to the Odeon. It’s been many years now that the beautiful historic theater has been used solely as a movie theater. But, the management is actively in the process of expanding the venue as a site for more diverse performances. 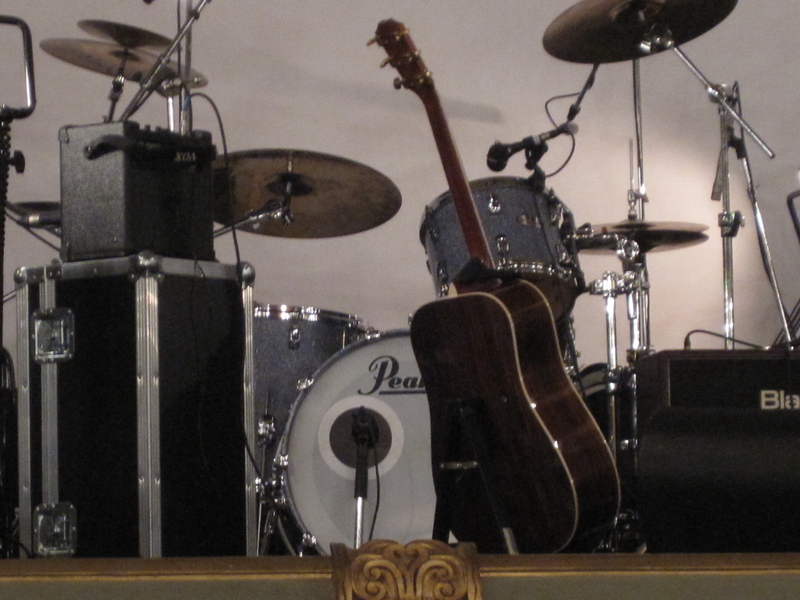 The concert concluded around midnight after a 5-song encore with a standing ovation. Tim the actor had morphed into a musician, while the Odeon movie theater transformed itself into a concert hall. For reasons we will never know, Tim was compelled to follow a passion that seemed unknown to audiences until recently. 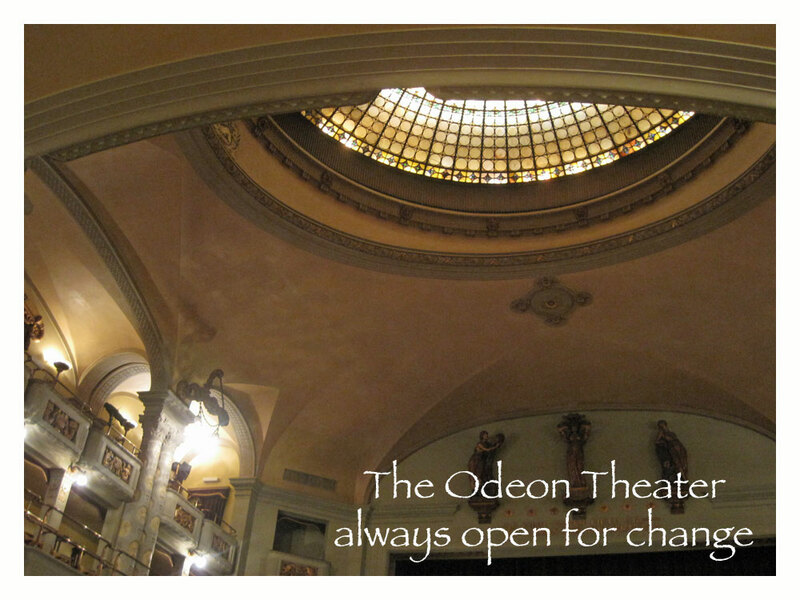 He just had to pick up his guitar and go out on the road; the Odeon management is compelled to broaden its purpose with “50 days of International Cinema” and live music concerts. The real question is about how we deal with these changes—or rather change in general. 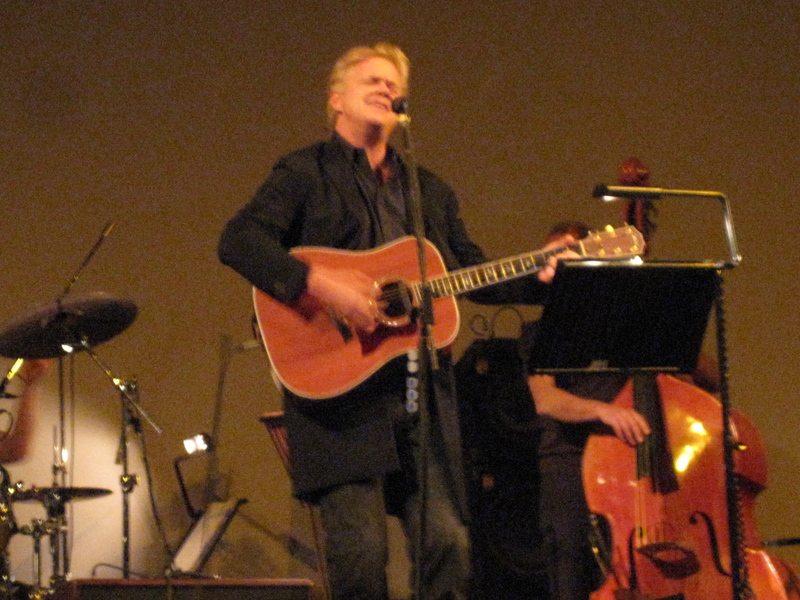 After the concert I asked the woman sitting next to me what she thought of Tim Robbins the “musician.” She said, “I definitely don’t think he’s found a new career.” Even though he was completely charming and the audience was taken with his charisma, he remained an actor who plays music. Maybe if we had our way, everything would just stay as it has been, just the way we like it. Status quo. Certainly, success in one field doesn’t necessarily insure success in another. Usually it seems unlikely. But don’t we admire someone who has the passion and courage to initiate change? To grow? To be authentically and dynamically engaged with life? Perhaps our role is to cheer those changes onward rather than dragging our feet, slowing the process. Shouldn’t we stand up and cheer for Tim and his band, if for no other reason than the fact that they showed up and dared to be different. Significant shifts in life seem to have two fundamental components: someone brave enough to take a chance, to risk, to make a bold move—and someone else to cheer them on. Note: You might also enjoy our other stories about concerts.